Following on from yesterday’s review of the Ricoh GR (Digital V) can only be one thing: the comparison shootout between the GR and its natural rival, the Nikon Coolpix A (full review here). Or is it the other way around, since the A came first? Doesn’t matter a single bit, it’s all about the images. Fight! I’ll continuously upload images from both cameras to respective sets on my Flickr stream – the Coolpix A is here, and the Ricoh GR is here. Coolpix A, shot by the GR. THe 501C looks on in the background. On paper, they pretty much share a spec sheet: 16MP, APS-C, excellent (according to MTF charts at least) 28/2.8-equivalent lenses, no IS, no PDAF, no AA filter, premium build, and a raft of manual/ physical controls. Both are large-pocketable and pretty much as small as it gets when it comes to APS-C compacts. They even have roughly the same battery life. What separates them is $300. Simple, right? Surely it’s a lost cause for the Nikon? In practice, it’s not quite so clear cut. I approach this comparison with no biases: I don’t own either camera (yet), but I do plan to cut a cheque for one of them eventually. I want a 28mm, large-sensor compact to serve as a second body, something pocketable, and fill the wide-angle niche when I travel. (I’m increasingly shooting with two bodies both for redundancy and so I don’t miss shots while changing lenses; the wide body should be something fast and responsive, and preferably usable with one hand.) It replaces the function of the 12/2 on my OM-D, or the 28/2 ASPH on a Leica M body. GR, shot by the Coolpix A. 501C has reloaded, dumped its detritus, and gone off to make pictures whilst these two navigate their menus. The lens has slightly better corner resolution at distance – though nowhere near as much as existing comparisons online tend to make out, as you’ll see later. Resolution is identical otherwise. Very well implemented manual and zone focusing, snap modes etc. Built in level Edit: it appears the A has this too, but it’s buried deep in the menus under a non-intuitive setting. I stand corrected. Bar, Coolpix A. Not a lot of difference at this size, is there? Just keeping things in context. First test scene, with the A. Shot on a tripod with AUTO-ISO for both cameras, wide open, and matrix metering; representative of your average night scene, minus the variable introduced by hand shake. Center. The GR is resolving a tiny hair more (see trees) and there’s slightly less noise, but notice the default metering is also significantly hotter. Other peripheral parts of the frame are blown. Both cameras were set to matrix metering. Click here for 100%. Lower left corner. The GR is definitely resolving high contrast structures a little bit more than the A, but notice the increase in lateral CA, too. Click here for 100%. Bottom border. Again, almost too close to call. Click here for 100%. Though both cameras have a built in flash, neither one will work as a TTL speedlight commander (shame on you, Nikon – even if you mount a compatible hotshoe flash, you still can’t get TTL commander modes). Similarly, neither camera remembers the chosen manual focus distance when the power is cycled, though the GR has the snap mode function which can be set to several possible distances. The A lacks this and requires you to either always set it after powering it on, or leave the camera on and draining power. You’ll also get moire on both cameras due to the lack of an antialiasing filter. I’m sure you can see the problem here, right? Though the GR is cheaper, it has some critical issues – in bold – that are a big deal in practical use. The gap in image quality is significant enough that it should give you pause: if you’re primarily a B&W shooter, then the GR is your camera because it simply delivers richer midtones; given the base sensors are similar if not identical, it’s probably the in-camera processing making the difference. By comparison, the A’s default B&W output is rather flat and not particularly rich; you do need to do quite a lot of work in PS to make it sing. If you’re a color shooter, then the GR’s odd reds are probably going to drive you mad. The Coolpix A should be your choice; its colors are natural, accurate, and have a level of subtle clarity that’s quite addictive. I felt there was a ‘pop’ present in the A’s raw files that I simply didn’t get out of the GR (unless I desaturated with the intention of converting to B&W); it might well be because this was a preproduction unit with non-final color calibration. Second test scene, from the Coolpix A. Shot at base ISO and auto-ISO, both with matrix metering, again on a tripod, again wide open. 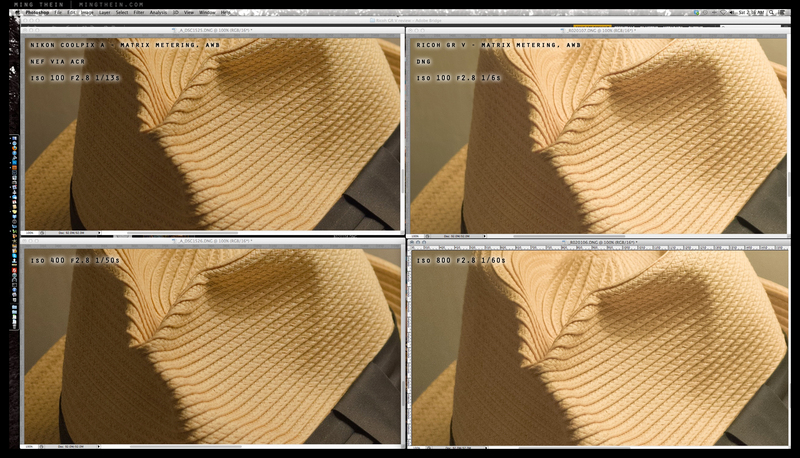 Selected focus point for both cameras was the crease in the front portion of the hat. Corner. I really don’t see any difference in resolution here – if anything, the Coolpix may be a hair better. Where are these soft corners everybody seems to be producing? Click here for 100%. Dynamic range test, top right corner. Once again, the GR has metered hot and overexposed portions of the lamp. These weren’t recoverable in ACR. Click here for 100%. Low ISO. Near as enough makes no difference to either noise or resolution. Click here for 100% crops. High ISO. The A certainly has stronger blue channel noise than the GR; at ISO 6400 and above, I’d give an increasing advantage to the GR. That said, I wouldn’t exceed 6400 on either of these cameras. Click here for 100% crops. Much ado has been made about the GR’s lens supposedly being better than the A’s; I openly question the testing method used, because I’ll be damned if I can see much of a difference between the two cameras wide open – you can see as much in the 100% crops presented here. There’s no difference in resolution at close range – if anything, I think I find the Nikon performs a bit better with less coma; at longer distances, the Ricoh has slightly better resolution, but also considerably more lateral CA. In the center zone, they’re about the same. 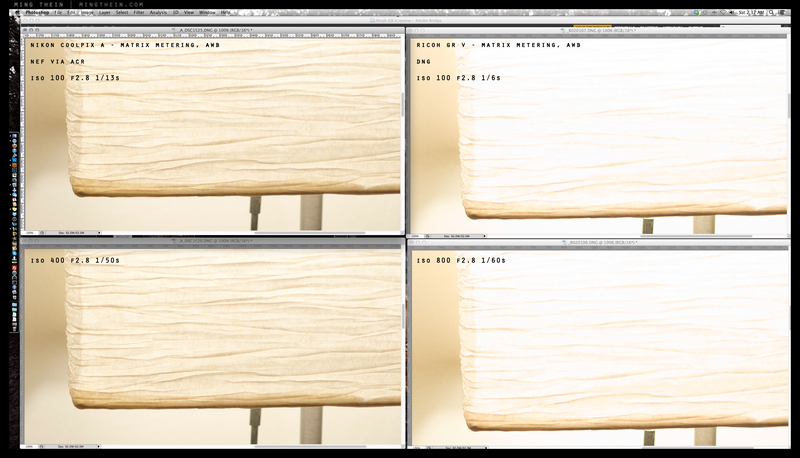 Sample variation and focusing accuracy is going to matter much more than the design spec of the lens. The problem with color, in a nutshell. Both cameras were shot in daylight at the same target within seconds of each other with a manual WB reading off the grey card to avoid any potential issues with post-capture WB. 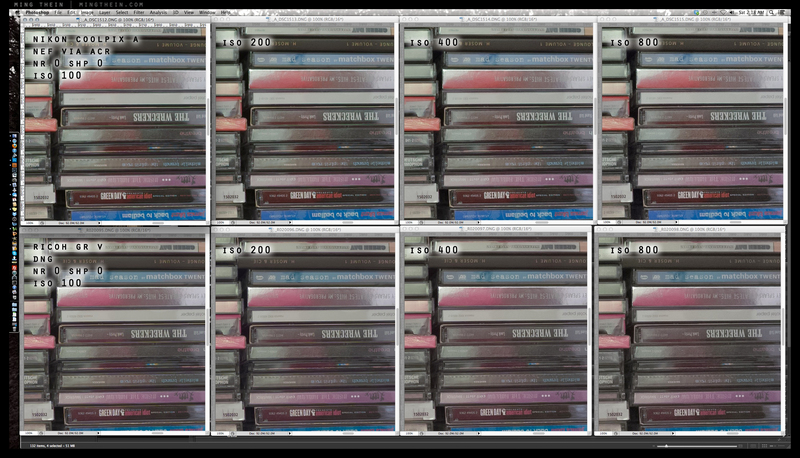 No corrections were required anyway as both gray cards came out with RGB values of 180,180,180 in post. 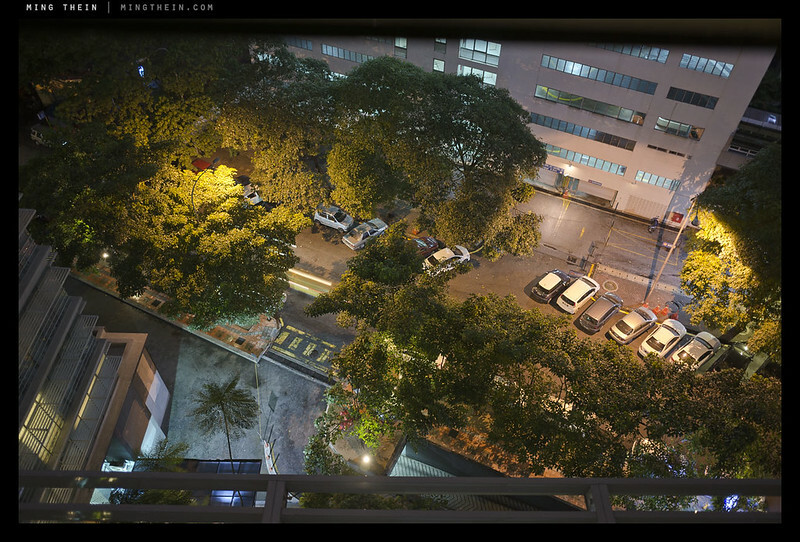 Exposure and ACR settings were the same for both cameras. 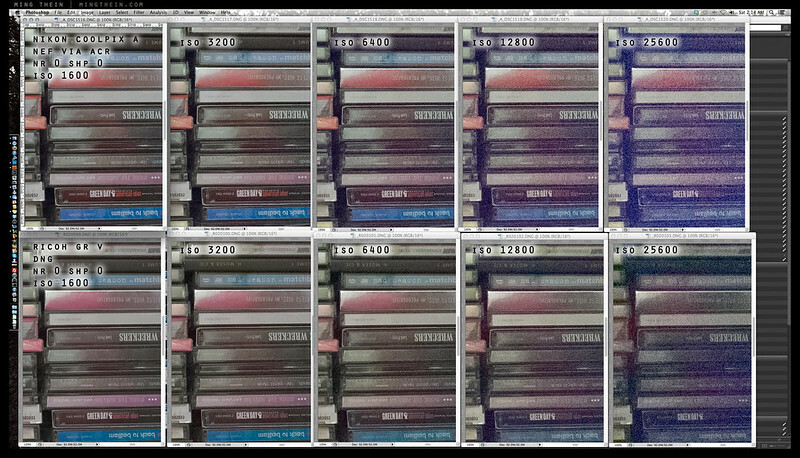 The JPEGs look nearly identical in colour. 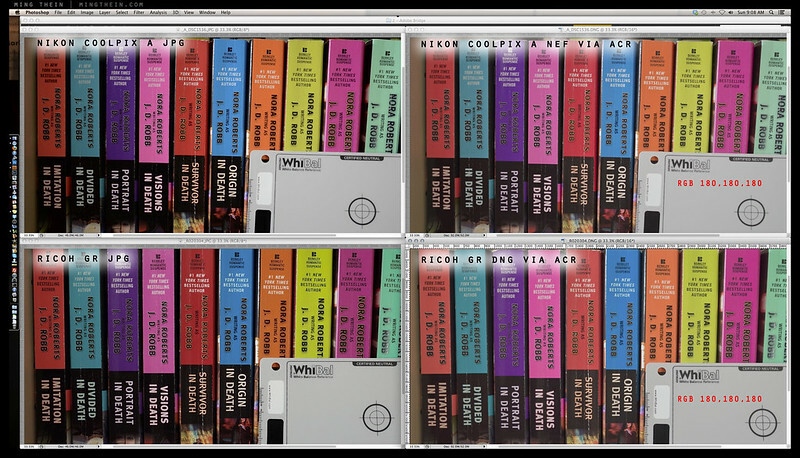 However, the raw files diverge considerably: note how the reds are pinkish and washed out/ flat; cyans shift to blue and yellows shift a bit to green. The real scene looks almost identical to the Nikon; the Ricoh looks off, period. (The red book in the center – ‘Survivor’ – is fire-engine red, not burnt orange.) Here’s the real problem, though: the Nikon makes it 5150K, +24 tint. The Ricoh makes it 4000K and +34 tint. In practical terms, it means that you might run out of WB shift adjustment in very warm light for the Ricoh, but it makes for a great B&W conversion. Click here for a 100% version. 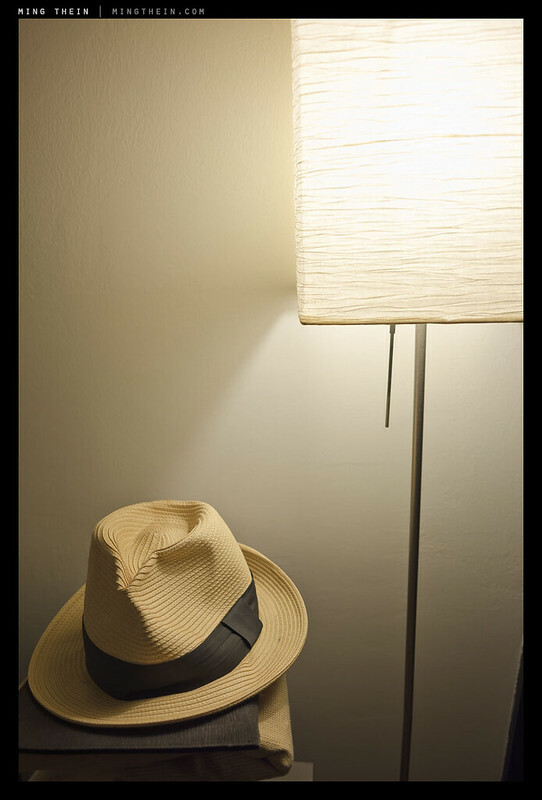 Final test scene, shot in the same manner as the hat and lamp. 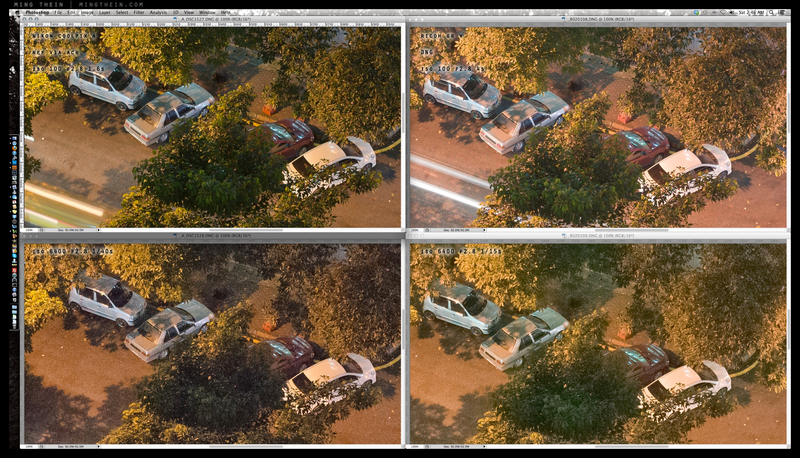 Note the difference in default AWB between the two cameras – once again, the Coolpix A (left) renders the reds far more accurately. Under incandescent light, the difference becomes far more pronounced. Once again, there’s almost no difference in resolution. Click here for 100% crops. In practical terms, this means the GR can be used effectively for daylight street photography in AF mode; the Coolpix is a bit hit and miss. However, the GR can always be used in Snap mode, or zone focus, especially at night. You’ll probably find yourself with the camera struggling to focus once it gets any darker than your average indoors scene – EV7 or so. If you use the A with AF on the shutter half press, you’re going to be frustrated by the number of shots you miss due to slow response. That fraction of a second extra the A takes to focus – perhaps 40-50%, or maybe about 100ms in real terms – is enough to dramatically reduce your keeper rate. Rather, the A is best set to Fn1 as AF-ON, and the desired distance dialled in – shutter response is then instant. Effectively, both cameras can be made as responsive as is desired. For this kind of run and gun work, the one caveat is metering: the GR’s matrix meter is not as accurate as the A, and tends to expose a bit hot – clipping highlights in the process. Given that exposure is read directly off the sensor, it’s unclear to me why it’s so difficult to program the camera to just clip the top end of the highlights rather than losing significant amounts completely; under identical circumstances, the Nikon is consistent to the point of not really needing to use the spot meter. To make things more confusing, the A has a sensible program mode that uses all of the available apertures (you don’t really get a huge amount of depth of field control with a real 18/2.8 anyway); the GR requires you to switch to aperture priority or continually shift the program when indoors to use anything larger than f4. At the same time, you don’t want to leave shade for sun and find yourself at f2.8 for a landscape. This switching gets annoying, and it’s too easy to find yourself at a higher ISO than you desired – defeating the point of a fast-response rapid-draw camera. 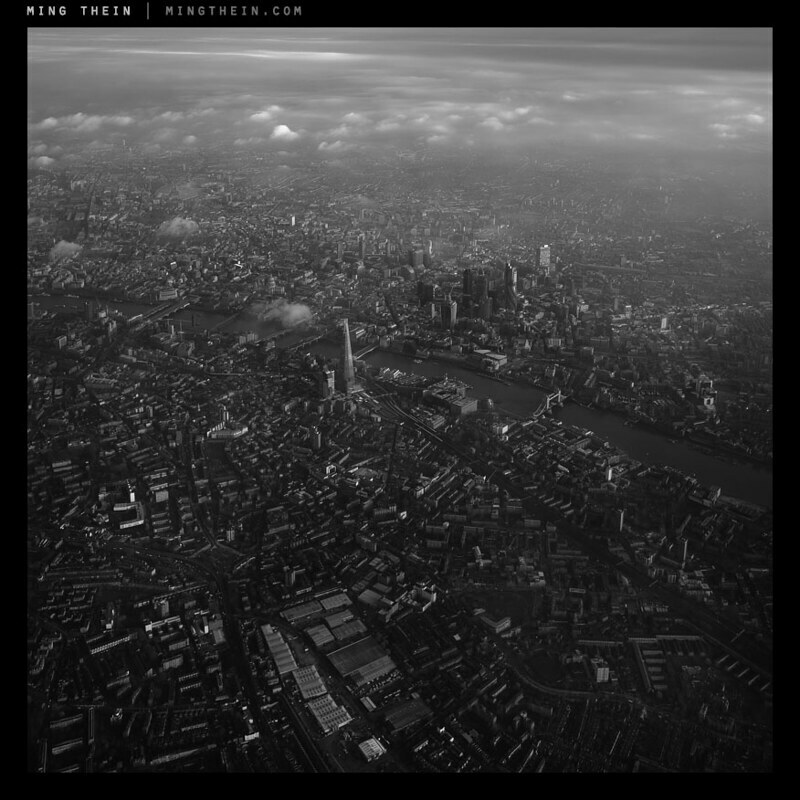 Over London – Coolpix A (with a LOT of tonal work). This brings us to perhaps the most important factor: how they feel in use. The GR is a camera thoroughly conceived in the compact mould: you can use it one-handed, and everything is controlled by the shooting hand through various toggles, dials and joysticks. The A is set up like a mini-DSLR; you need two hands because there’s a row of buttons down the left side that are hold-down-and-turn in the style Nikon’s larger cameras with which it shares the same direct-access info panel and menu system. Unfortunately, it also shares some of the larger cameras’ idiocies – no one-button zoom in playback (you push the ADJ toggle in on the Ricoh to zoom to your desired zoom setting); not having AUTO-ISO as a choice on the ISO menu; U1 and U2 settings that don’t quite save everything. That said, the A remembers your playback info screen choice and uses it all the time, even for instant review (mine is the blinking highlight warning); the GR does sometimes, and doesn’t at others. You think your exposure was okay because the screen is relatively dim, but combined with the overly hot matrix meter, you might well have blown some things. Truth be told, I have no idea which camera I’m going to keep. I can see uses for both and frustrations with both. (This was not the conclusion I was expecting; I honestly thought the GR would deliver image quality on par with the A, run away with focusing speed, and be $300 cheaper in the bargain. I’m now quite confused.) In real life, there’s very little to choose between their lenses or sensors (barring color, which is fixable by a custom profile). What you choose will come down to your tonal preferences: as it stands, the Ricoh GR (with FW 1.11) makes some of the richest B&W conversions I’ve ever seen from a digital camera, whereas the Nikon Coolpix A has beautifully transparent, accurate color. Actually, the GR’s output in square format reminds me a lot of my Hasselblad and CFE 50/4 Distagon; it’s very, very filmic, and this isn’t a term I use lightly. I enjoy it as much as I enjoy the Nikon’s color reproduction. The Nikon Coolpix A is available here from B&H or Amazon in black and silver, and the Ricoh GR V can be preordered here from B&H and Amazon. Nowadays, there isn’t arguably any bad digital camera out there, and these two (Coolpix A and GR) are pretty much similar. Possibly the differences are only noticeable cropping image results with a loop (although who crops or zoom the images when viewing the photos after a trip or a simple photo session test unless they want to find “faults”?) or comparing colour rendition, etc. I own the Coolpix A, not the GR, and I can say that I’m amazed indeed with the results: sharpness (this setting always to the maximum in all my cameras), colour, contrast and outstanding results on dynamic range using the Active-D Lighting function. I’m sure the GR would give me very satisfying usability and results too, but the one I own is the A and I’m in love with it. I shoot 99% in colour. I understand that the colour rendition is better on the Coolpix A. Is it worthy buying the GR II too (in addition to the A) just for B&W shooting? Or is there any setting on the Coolpix A in order to get a similar response on B&W shots without the need of buying the GR? 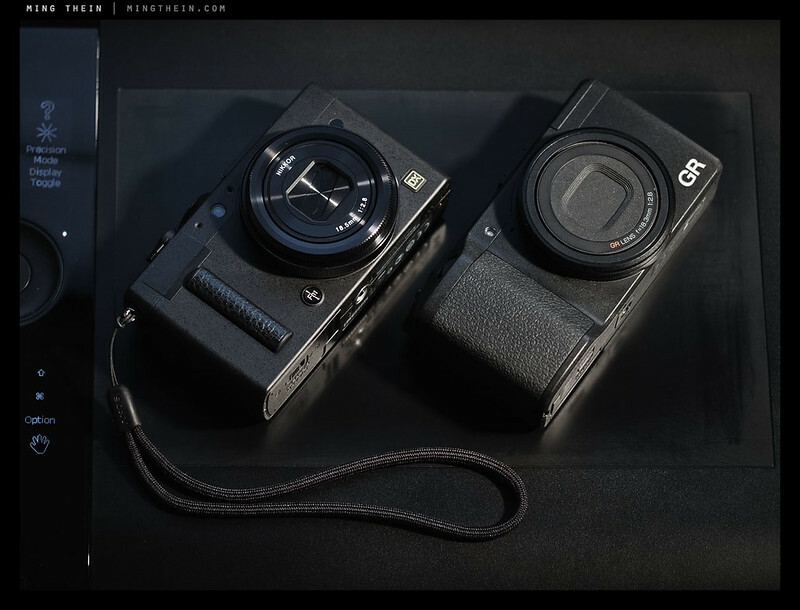 Or do you think there are other “pluses” good enough that could justify buying the GR II too? Never used the GRII – just too similar to GRI. My guess is with a bit of PS/ACR profiling you could probably make them pretty similar, though I didn’t have the CPA long enough to try (loaner) and I sold the GR a couple of years ago. All I want is just transfer the photos from the memory cards to my computer / hard disk drive. The less I have to do post processing, the better. If nothing, the best. That’s why I just want those cameras with such good in-camera settings that I don’t need to play with the files afterwards. Nowadays, I wonder how these two cameras would fare against the Fuji X70? Any comments on that, Ming? No idea. The Fuji has the tile screen in its favor, but gives up pocketability and lens performance in every image I’ve seen. 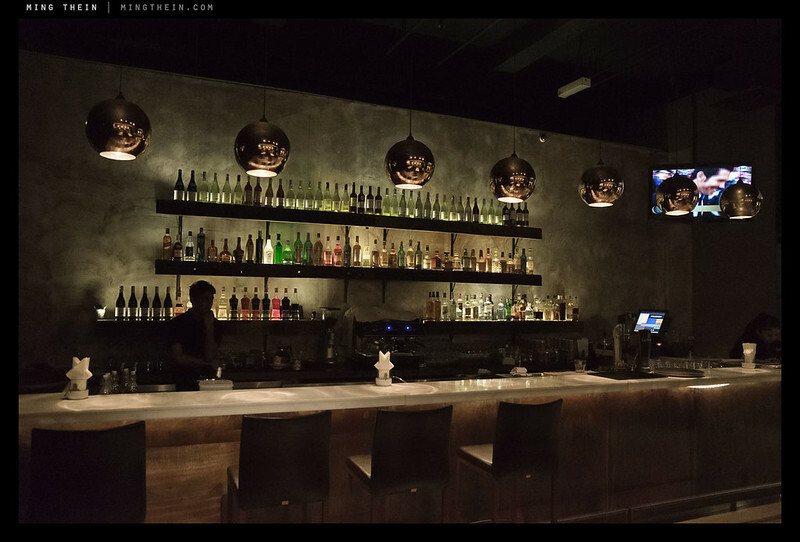 Ming, thanks for this great review. I have a question. I am considering the purchase of a Ricoh GR. You mention the excellent BW files the camera produces (you mentioned with firmware 1.11 but I would assume bw files would be impressive with later firmware as well). My question is, are the excellent bw files the result of setting the GR to one of the bw filters and getting the bw straight out of camera, or would you have to shoot in color and then convert in post processing? It’s hard to believe such excellent quality bw would come straight from the camera. thanks. No, they’re the result of shooting color then converting in ACR/PS. The discontinued Coolpix A Silver, new (doesn’t appear to be refurb), is now down at 399 USD at B&H if that makes it any more attractive; some might consider it a somewhat disposable price in that range (?). It’s certainly very good value. I remember seeing demos/refurbs or something at even lower (sub $300) prices recently. I do enjoy B+W work and often shoot with a Quattro to produce some really contrasty and sharp B+W but of course the Sigma has tonnes or problems in low light and is really very slow. You have mentioned previously in comments that there is a big difference in B+W between the two cameras, and I have seen a few other reviewers mentions how high quality the B+W out of the Ricoh is however you don’t cover the differences in your review and since both cameras are virtually identical in sensor technology (Bayer, with micro lenses and no OLPF or AA) why and what are the differences in B+W between the two? Would you still opt for a GR at 600 even when the CoolPix A is 299? It’s not the sensor, it’s in the ADC conversion and image processing engine – this applies to both RAW and JPEG. I can’t explain the differences because I have no idea what they are exactly – things are happening at the hardware and software level that are known only to the engineers, I can just see the results. Is it worth the $300 difference? Hard to say; probably not. Unless you are a 100% B&W shooter, I suppose. Or you could always hunt the forums for a used GR; they seem to be in the $400-450 range, which would still make me favour it over the A. 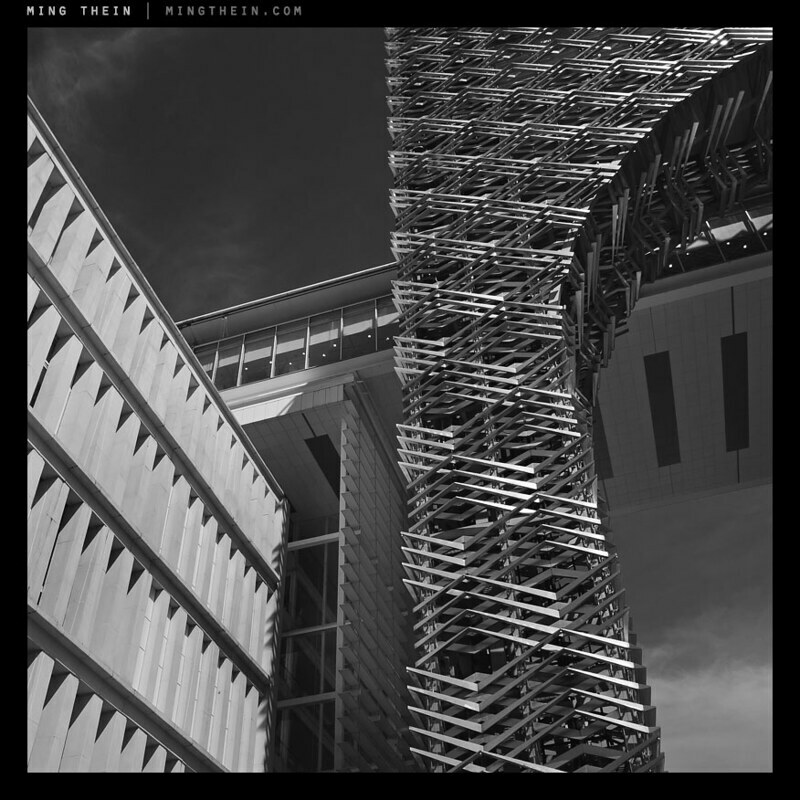 Quite a big difference for B&W, though the price difference is hard to ignore. Dear Ming, it’s been quite a while since the review was written, and the A has now dropped in price to $462, compared to $624 for the GR (Amazon). I had pretty much decided on the GR initially, before realizing the price change. I know you previously answered with hindsight that you’d go with the GR – but since some time has gone by – I’d like to know your thoughts; do the better ergonomics and focusing(?) of the GR justify the current price difference? Or is it still a matter of color -> A; BW -> GR? $100+ is quite a chunk of ringgit, where I am.. I noticed quite a few discussion on other forums about sensor dust issues with the GR. 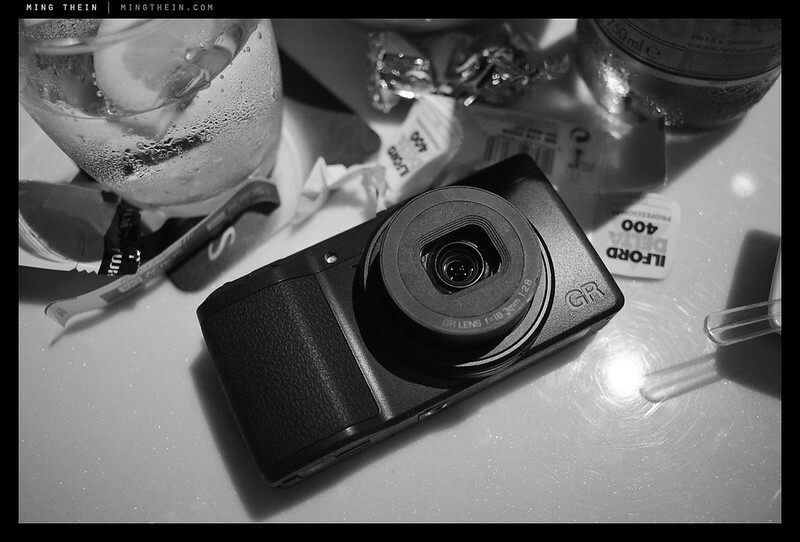 Just wondering, have you ever had any on your Ricoh GR and if so, is it really a big thing? I’ve got one small spot after 10k images and no care to environmental considerations or pockets/ lint…so yes, I think it can happen, but no, I don’t think it’s a big issue. I’m guessing we only see this now because the sensor is much larger than with previous compacts. Thank you for this wonderful review! Still, I really could’t decide especially now when in Germany the price of the Coolpix A dropped below the Ricoh GR. I guess I’ll have to get both, test them for a week and send the other one back. So I won’t feel like I’m missing something. What would you do? With the benefit of hindsight, I’d still get the GR, but perhaps you could do as another poster suggested – get both and return the one you don’t want. Firstly I would like to thank Ming, you are so kind to us replying all the questions, giving us honest, logical opinion. Truly appreciated. David, hope you can choose the one work for you. and enjoy whichever you got. Thank you. I kind of have a slight bias towards the GR since the snap focus really appeals to me. Don’t know if you can set a fixed focus distance on the Coolpix (?). I want something snappy. I’ll let you know how I decide. I believe you can with manual focus, but it’s a bit clunky and I don’t recall if the camera remembers this distance when the power is cycled. Since the Coolpix A and the GR are so close I think its best to buy them both. Test them for a week, decide and send the other one back. So you won’t feel like you’re missing something. That would work too, I suppose. But isn’t an option at all in Asia. Recently just sold my OMD in order to buy something that would fit in the pocket. Here in NZ the Nikon A is actually $300 cheaper than the Ricoh GR. With more than a year gone by since this review what would your recommendation be? Thanks in advance. A for color, GR for monos. Depends on what you shoot, mostly. Thanks man. I ended up going with the GR. Very happy with it! Keep up the great work!!!! Ming…has the latest firmware improved the AF performance of the Nikon A? Using both cameras with their latest firmware changed anything meaningful about how the two cameras compare? Any hint if either camera has a new version coming soon? No idea, since I no longer have an A. Have you used optical viewfinders with these cameras? No, because there’s no way you can do any kind of stealthy reportage with that! I generally go manual or snap focus if it’s that dark. >Exposure meter settings are only shown after half pressing the shutter – not permanently live. This always annoys me when I use my Lumix LX3: why do I have to half press to find out what the exposure settings are? Is this still the case on the Ricoh today, or has it been addressed by a Firmware update? I’m also interested in how your purchased GR compares to the test model you had, in terms of (colour) image quality. Frankly I prefer the colour images you took with the Nikon. But maybe updated standard Lightroom profiles etc. will have narrowed the gap between the look/feel of colour shots taken with the two cameras? is there still more ‘bite’ or ‘pop’ to the Nikon shots, do you think? The purchased GR is better because there have been ACR updates with profiles for it since release – color improves hugely. It isn’t quite as good as the Nikon, but it’s close. Thanks. What about the need to half press to find out what the exposure settings are? Not an issue in practice. Thanks, Ming. Your photos are inspiring, by the way. I bought the GR. Once I actually handled both cameras, there was no doubt left: the GR is ergonomically much better. Oddly enough, at the time I was buying, Amazon in the UK actually had the Nikon A listed at less than the GR: £475 for the Nikon, £500 for the GR! Anyway I love the GR’s feel in the hand. I’m undecided re. image quality, need to try it in decent light. Cheers, John. Hello Ming. Great reviews as always. 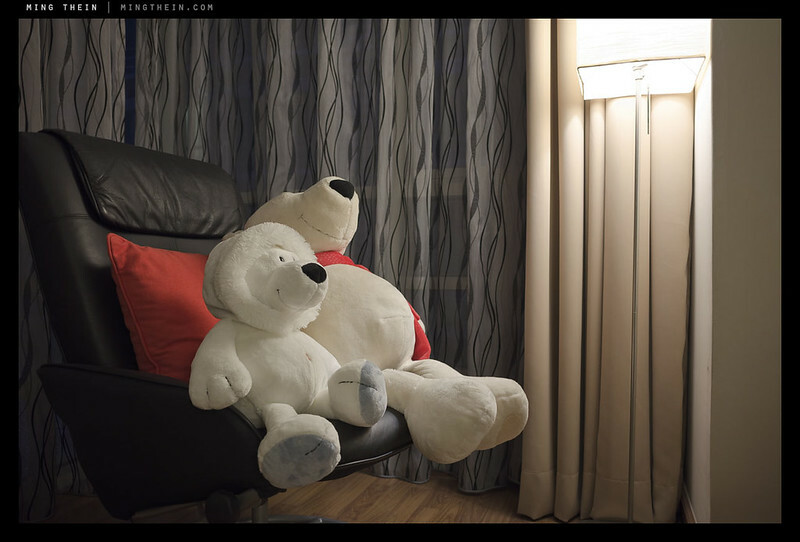 Would you share your Ricoh GR raw files of the teddy bear in red cushions, as well as books on the shelf. I’d curious to develop them with the Huelight Photoshop & Lightroom Camera Profile for the Ricoh GR and see if it actually correct that pinkish/magenta-ish hue on the reds (www.colorfidelity.com). Thanks! The latest profiles in ACR/LR solve the colour issue. 1. It’s March. There are still 9 months more cameras to go. 2. I haven’t used the OM10. 3. Buy whatever you feel comfortable with, we’ve long passed the point of sufficiency. For those that are in the fence, I’d like to offer the following regarding B&W with the Coolpix A. Under the Monochrome setting, is an option for virtual filters. Users may choose traditional color filters O, Y, R, G, etc. While actual B&W filters on your lens don’t work well with Bayer sensors, these software settings do. Also highly recommend processing Nikon raw NEF files with free Nikon View NX to get the best results. This is one thing I didn’t get a chance to try – it might well have solved the monochrome conversion problem. However, it does leave you without a colour raw file, presumably? 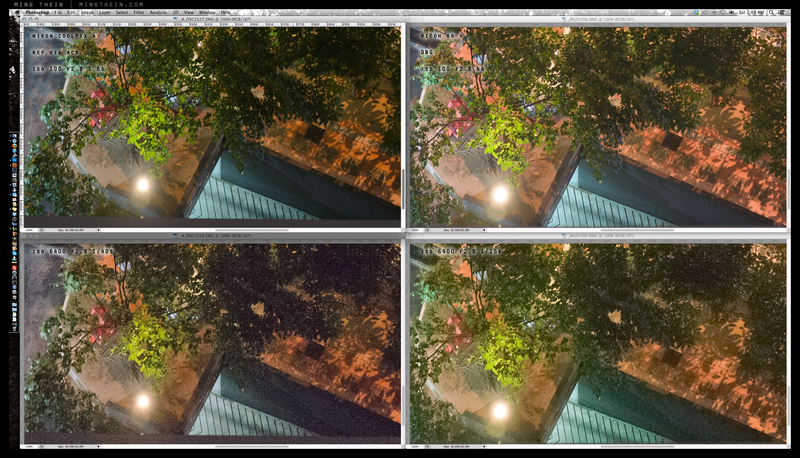 Or do the filters only affect the jpegs – in which case you’d be compromising image quality in other ways like DR, resolution etc? The setting is under the Shooting Menu>Set Picture Control>Monochrome>Filter Effects. The filter choice applies to the NEF, but can be undone by choosing a different value under Picture Control in post. Look for this setting on your D800 and try shooting some virtually filtered B&W. Nikon View NX2 allows nondestructive edits to NEF files. NX2 his highly underutilized by Nikon shooters. Nikon has never given its proprietary file structure to Adobe or anyone else. By using View NX2 and Capture NX 2, I maintain a closed-loop process, only outputting JPEGs if needed. If you download View NX2, there’s an option to Launce the Picture Control Utility, which has the aforementioned Filter Effects available for editing. Wasn’t aware that the D800 had the same option – I’ll give it a shot later, thanks. As for NX2 – the workflow is an absolute disaster. I can do the same filtration either in ACR or PS; I’m sure NX2 has slightly better image quality, but that isn’t worth the inconvenience and workflow disruption. My use of View NX2 and Capture NX2 (with embedded NIK Color Efex Pro) allows all images to stay NEF throughout processing. I only capture raw, not raw+jpg. View NX2 provides viewing, sorting and basic editing, while Capture NX2 is reserved for more intense editing. I’ve used this process since the original D1 in Y2K and processed over 500 weddings this way. Don’t know of another process that allows me to preserve my digital negatives unmolested. Not sure why your experience was “an absolute disaster”. Because I have to do retouching for commercial product work, and the tools for that simply don’t exist in NX – so I have to export to an intermediate format anyway. Understood. When it comes to pixel editing, PS rules. Just uploaded a couple of jpegs for you to hopefully clarify. Note that my blue jeans look much darker in the second b&w. This is due to shooting it with the red filter. DSC_0054 was shot in Monochrome w/o a filter effect. The color version was changed to Standard Picture Control (color) in View NX2, then converted to a 1920px wide jpg. ANY changes made to a NEF in View NX2 may be reset to “as shot”, or altered. Since only the side-car file is edited, not the pixels, it always remains reversible. You can not do this using Adobe ACR or LR to my knowledge. The first two are pretty clear examples, and they appear to work the same way as PS/ACR. If you have the colour RAW, you can use the HSL tab in ACR, click on ‘convert to B&W’ or similar, then adjust the channel mix – it works in approximately the same way; dial in or dial out the channels you want to increase/decrease luminance of. I think it’s more fiddly but also gives you potentially more fine control. FYI: Editing RAW files in ACR is always nondestructive. You can go back to “as shoot” at any time. It isn’t if you take them into ps and perform sequential actions on the base layer. Recent rumor about price drop on Coolpix A grabbed my attention, a SHORT update or follow up would be nice, especially your valuable opinion on longer term usage (and how all those issues were taken rid of via fw update, if that’s the case, especially because Nikon did not bother with any updates, as far as my search for any has showed) from a Ricohs GR user’s standpoint. Thank you in advance. Since there are no updates, it works exactly the same way as it did when it was released. There’s no point writing an update, certainly not since it’d require me to buy an A just for the purpose of an article. That’s a waste of money. Excuse me, I did mean your thoughts on Ricoh GR (there were substantial fw updates, or am I mistaken?) since you got one (or haven’t you?). Oops, my apologies – it came across as though you wanted an update on long term usage of the Coolpix A (presumably in light of the price drop) – that doesn’t make sense, and I don’t have one. But the Ricoh post-FW update, yes, that does, and it’s actually in the works already. Sorry for the confusion! Excellent. I just meant, that the price drop turned my attention to “the battle of compacts” once again. Coolpix a for around 680usd new (heavily discounted)… Does this make the Nikon a no-brainer or would you still consider the gr? Then the question becomes whether you shoot more color or B&W – A for color, GR for B&W. Coolpix A prices seem have dropped so that in best offers it costs practically the same as Ricoh GR, about 670e. I was already very close to buy a Ricoh, but being a Nikon user, I think Coolpix A will be my choise. A pity there is no separate grip handle for Coolpix A. Or is there? Thanks for the excellent comparison Ming. I bought the GR based on your review, and also have the OM-D in my stable (I wish I knew that the 17 wasn’t the greatest before I bought it with the camera). I also had a brief foray into a secondhand x100 until I found it had the SAB flu and promptly returned it. Love the GR so far! Any updates regarding the RAW color using LR5 (which officially supports the GR)? You mention that they compare to APS cameras with a prime, but I was just remembering that CaNikons don’t even HAVE purpose-built wide angle primes for crop body. Canon has a 20 in the EF mount which would equal a 32, but I’ve heard it’s quite soft. Add in the compactness and there’s no comparison! Much better after the last firmware update for the camera itself, too. It’s meaningless because it just crops. You can do exactly the same thing after the fact. The lens is a fixed 28mm. The only way you can get ‘effective’ 35 and 47mm fields of view. It crops the output to a smaller file. You can’t change the physical lens or add more pixels via firmware! The other two FLs are crops. You could just shoot at 28mm and crop afterwards. Extremely fine and thorough testing. 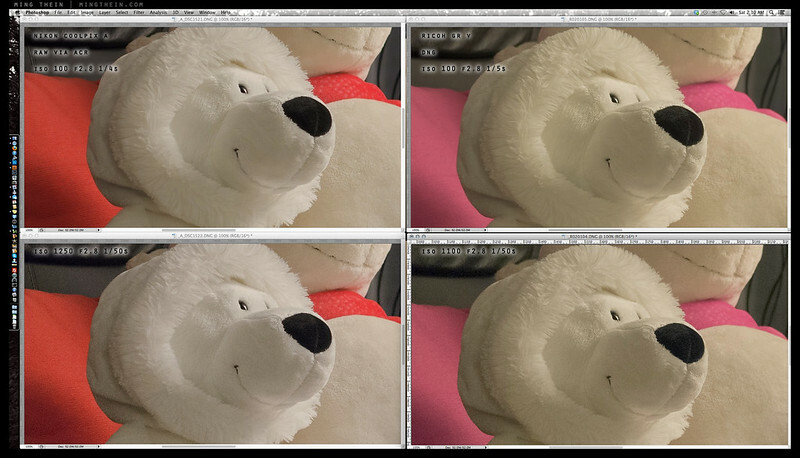 But can the bad colors in Rocoh GR be changed in PP (White Balance) – for example, the image of the teddy bear, the fur is not white but dull gray or slightly brown? But the Coolpix A is fine here. The newer Adobe profiles for the GR solve the color issue. It’s not a WB problem. Thank you so much for the great reviews. I reached here after flowing between A and GR for weeks. Even played with 2 hours with both cameras in a real shop still couldn’t decide. I must tell you that your reviews were the best in the web world! (only read English and Japanese though) But still not giving me the conclusion yet…as I love my D7000, takes color images in the most then I think I should go with A. However I feel like GR may bring me a new experience for B&W, your photos beating my heart. And love the solid, heavy duty like design of GR then much prefer the controlling of A (hate the control of GR, not able to change AF point quickly) … OK. I should stop writing too much of unorganized list in my head. I am now wondering which camera you got eventually? and Why? Thank you and congratulations! I can see how tough it was but in the end, it sounded very good for you. I will find my “why” very soon… your decision making process has been inspiring. I’ve been shooting with the GR lately but finding the delay/black-out of the LCD screen really distracting after each shot. If “LCD confirmation” is set to anything other than “Off”, the return to Live View takes even longer. I’m already using the fastest SD card available which is a Sandisk 95MB/s Extreme Pro. On my OMD and PL5, I can easily return to Live View without framing interruption if I maintain the half-pressing after taking a shot, but GR always has a bit of hesitation, which is not crucial but in several situations where several subjects were shifting in the frame, I could have tweaked the framing tighter after the initial shot but I couldn’t because GR didn’t return to Live View fast enough. Just wondering if the same delay occurs on the “A” and if this is something that could be corrected by future firmwares. Other than that, GR is a great camera when it doesn’t freezes on me (LCD on, no buttons would respond, even power button doesn’t work). It just doesn’t seem to like my quick draw, constant power on-off cycles, and lots of snap focus shooting methods, in my typical OMD machine gun way. The only way to “un-freeze” is to remove and reinsert the battery again. So I started to treat it more “delicately” but when it froze after taking a single shot straight from power-on then I know it’s not me. Hmm…it hasn’t happened to me yet, nor have I noted the LCD blackout (the OM-D’s switching time to turn the EVF back on is worse, in my opinion) – but then again I haven’t had a chance to shoot it properly yet, either. Will let you know if I find the same…which firmware are you running? OMD has a nice LCD blackout implementation whereby return to LiveView is instant if the shutter button is only returned to half-pressed position after it’s fully engaged. The Image Review on OMD (of last image taken, whether it’s a single shot or a series), if turned on (as low as 0.3s on OMD, whereas GR only goes down to 0.5), will occur only after the shutter button is fully released. Since GR doesn’t have this override, I can’t decide whether to leave “LCD confirmation” on or off. For moving subjects, LCD Confirmation delays the return to LiveView (even at 0.5s) but for static subjects it’s nice to have a quick framing confirmation. FW1.11. It’s not that – the moment you take your eye away from the OM-D’s finder, the thing takes a second or so to cycle back again between the LCDs. I notice the E-P5 is a lot faster in this respect. 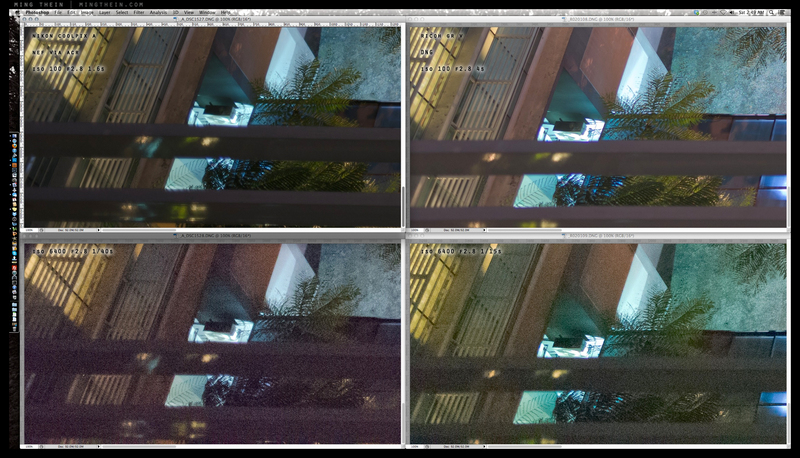 I agree with the slow switching between LCD and EVF on the OMD. Glad to know EP5 doesn’t have this delay. I’ve sort of adapted by just shooting with LCD for shots I know would be gone by the time I hold EVF to my eye. It’s kinda annoying. Not as annoying as the ultra sensitive (or the precision lacking) eye sensor that constantly switches from LCD to EVF when doing “chest-level shooting” with LCD. I was so frustrated after the NYC workshop, I managed to hack a solution using a tiny piece of black electrical tape covering the bottom half of the second eye sensor, which finally stopped this ridiculous switching. Not sure why this wouldn’t work on the top half or the 1st eye sensor. The VF4 solves the chest-switching problem, too. It drove me mad as well. There’s apparently a setting that Gian found which allows you to disable the eye sensor…I will have to look for it again. GR is my perfect wide now, that’s why I’m hoping M2 would fill the tele void in the other pocket. But it seems they’ve kept the same crappy Zeiss lens on the tele end, so I might not be happy and have to return it after testing. Did you let the RX100 go because of not meeting stock requirement? As for the RX100 – it was actually the wide end that let things down; tele was much better on my sample. I tried a few and none of them were good into the corners til f4 at the wide end. No issues with stock requirements. That’s great news. Maybe M2 would be a good companion for the GR, always set to tele range. GW3 is sweet but it seems only available in Asia for now. B&H doesn’t even list it yet. There’s always the Japanese ebay sellers – you can’t get them locally in Malaysia either. 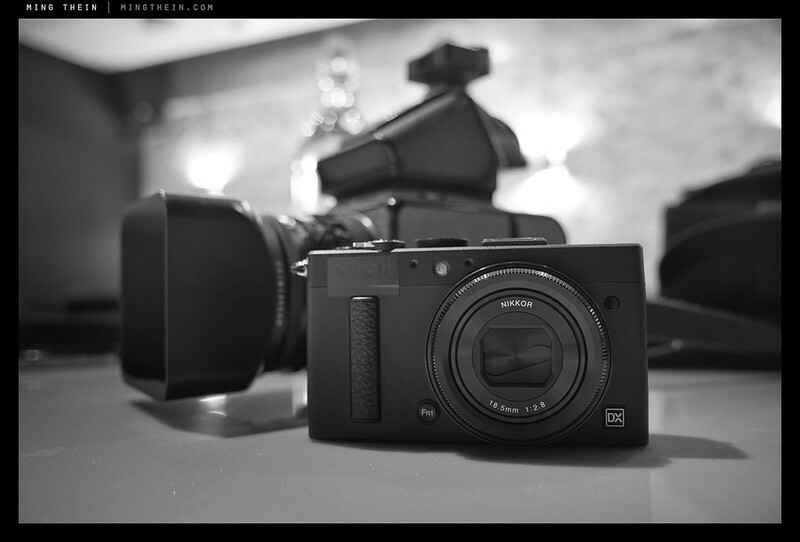 I wonder if the EVF for the RX100M2 would be useful…bulky, though. I’m always slightly afraid of breaking off those clip ons. No plans to at this point. I am considering the RX100, the A or the GR as complement to my OM-D.
How does the Sony RX100 compare to these? At the wide end it f1.8 so at least in low light it should be able to compensate for its smaller sensor. Hello Ming, I really value your camera evaluations that come from a photographer. I bought your Photoshop tutorials (beginner and for the Monochrome and learned a lot from them). I’m very interested in your thoughts regarding these cameras in comparison to the Leica X2. I’m looking for a compact camera that I can use at the beach with my children which is a street shooting style with quickly changing scenes but in bright daylight so low light performance is not an issue. I’ve tried my Leica MM and M9-P at the beach but would like a lighter/smaller camera with quick auto focus and a camera that won’t fill it’s buffer quickly as these M cameras. I also got the M240 and it does have a larger buffer but not significantly so. Do any of these P&S have as much buffer as, say the Nikon D800? Also, in terms of picture quality which I would place the most importance, which of the 3 smaller compacts would be the most similar to the full frame digital Leicas with modern ASPH M glass? If you also have any experience with the Sony RX-1, that is another I’m considering. Thank you. The X2 and A aren’t fast enough for AF; the GR might be depending on how bright it is, but you could easily use all three in manual focus or zone focus modes. None have as much buffer as the D800, obviously; they’re smaller and cheaper. I think the image quality on both GR and A is a bit higher than the X2, and actually very comparable to the M 240 with 28/2.8. Short answer – none of the options is perfect, just buy whichever you enjoy using. I have a Fuji x100s and a Ricoh GR and I can say without doubt that the Ricoh Lens is sharper and its Produces Far Sharper and More Detailed Images. This is Amazing as I Thought My Fuji x1oos was the Best but now its the Ricoh GR and The Colours are so Acurate and I am Thinking of selling my Fuji as the GR is my new Baby .. as sharp as Sweeny Todds Razor. Thank you for your extensive and neutral side by side testings of these two gems. Please notice that the Coolpix À has also in Camera RAW processing. With this function you can change : resulting JPEG type, WB, RAW expose, Picture Control choose, ISO noise reduction and D-Lighting level. The Coolpix A has also double exposure in Camera processing that works on JPEG and RAW. double exposure can be repeated with already in camera double exposed Files, and so we can also generate NEF or JPEG multi exposures. All other in Camera processings with the Coolpix A only work on JPEG. I guess the image quality is not an issue for both, but neither quite meets my demands in terms of AF and handling. In that aspect, I do like OMD a lot, which makes it hard to get used to cameras with slower focus. I guess I’ll just stick with my m43 for the time being. Thanks – they do have an adaptor for the GR to give you 21mm, but I suspect that making a retractable compact lens of that focal length that works well with digital might have some challenges…especially at the edges of the frame. Thanks very much for your excellent review of both cameras, as well as the comparison of the two – it helped me to choose between the 2. It helps that, according to my usual shops in Singapore, there is near as makes no difference in price. Coming from a D600, I figured it’d just be easier to work with the NEF files I’ve grown used to! I should add that I’ve had both the X100 and X100S on loan for a fairly extended period. Notwithstanding all the hullabaloo about the X100S, I found it hard to love – I didn’t like the output from that X-Trans sensor, and I found that it still missed focus far too often for my taste. That, and it was still far too soft wide open. The lack of price difference is very surprising. So I’m guessing you got the A in the end? Indeed I did – the GR won’t be launched here until the end of June. I suspect Nikon worked some magic in this market with price; it’s available almost universally here for around S$1,200. I pick the ricoh. Better ergonomics and fixable issues with color and metering and perhaps even focus. In addition, 35mm crop mode and 21mm adapter. Nothing to recommend the coolpix. An exccellent review! 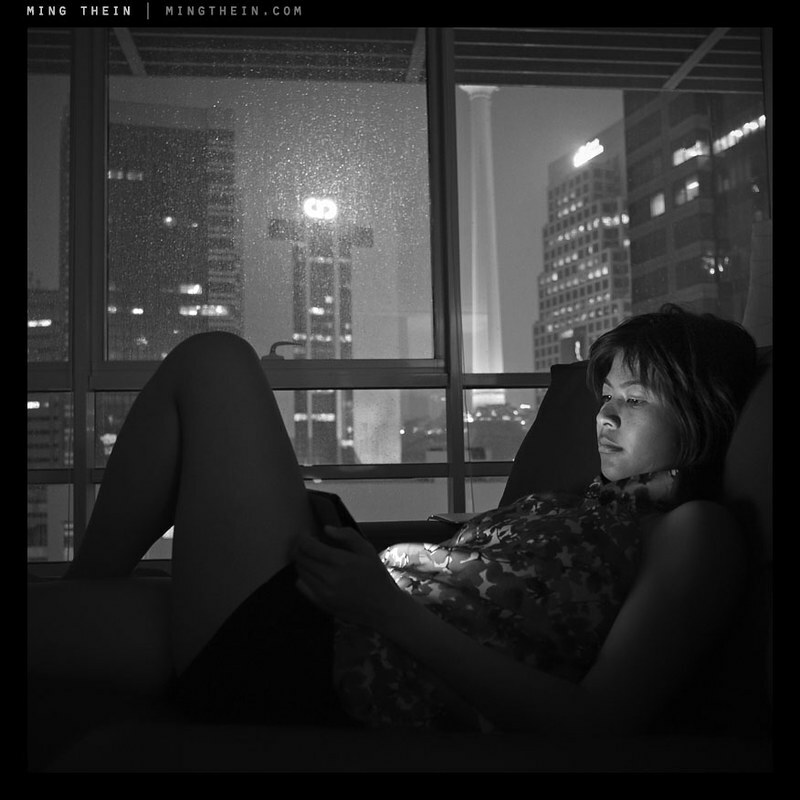 I will buy Ricoh in few days….the B&W pics are stunning, great job Ricoh! Thanks – hope you can use one of the referral links! French site loves the grip and handling of the GR. They found out that the GR’s lense is much sharper than the Nikons one. Can’t argue on the handling. But I think if you look at the crops, you’ll agree that there’s very little in it in terms of resolution between the two cameras. I think the difference in the sharpness of the lens will be more apparent when using wide angle converter, but unfortunately Nikon do not have this adapter. At this point it looks Ricoh the winner. Looks Nikon won on social media accessories (wifi, GPS etc). Thanks for your review work, Ming. It is very useful to have fresh, perceptive, and grounded impressions which seem largely immune to the popular opinion or hysteria of the moment. You successfully made me re-think my urgent need to pursue a Fuji X100, for example–I had been willing myself to overlook the fact that it really is not pocket-able, except in a coat pocket. The Ricoh GR is so much more suitable to my needs from that perspective. I believe that was one of the issues I mentioned with the A – video mode is a drive mode setting off the ‘i’ key. The mode dial is stiff enough that it never moved accidentally, though. I take it you landed up with the Ricoh? agreed. ricoh GR 200grs less than the fuji fx100 and much smaller. A pocket camera with a great APS-C sensor!!!!! 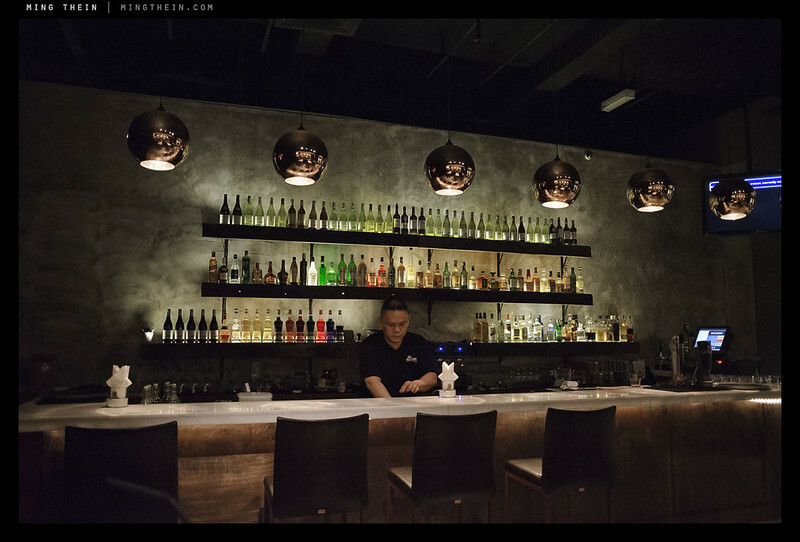 Thank you, thank you… for another great review and take on photography and equipment Ming, your time and efforts. As always love your example photos (yes, now that I’ve got my new computer almost ready its time for your DVD 🙂 and eloquent explanation of your user experience. Wish either could be the ‘perfect camera’ – did I just say that? – but maybe close enough for now. I’ve got a pre-order in on the Ricoh, Amazon in Japan has a delivery date on my order for May 25th-27th. Wondering if I’m going to put a wait on it till things settle. Being an early adapter on a new camera does have its drawbacks or a bit like gambling. On the Ricoh website they put enough emphasis on firmware updates that its a ‘feature’ of the camera. So if Ricoh can address the focus speed in low light with a firmware update, what else would be an issue that should address? A 28mm that does what either the Nikon or Ricoh intends is just about all I need for a compact take everywhere camera, but a wide doesn’t do everything. What companion camera would work with this I’m wondering? The Ricoh and its B&W quality has taken some of the desire for the Leica MM, and I still have my M9 which I would have had to sell to get. Another compact? My D-LUX 4 has been fine for what it does, is it worth upgrading to the D-LUX 6? Hay, I’m in this for fun not to make money :-). Not unfeasible that focus and ACR colours will be fixed with firmware/ software updates from both. What can’t change is ergonomics, so I’d suggest you try one (or at least a GRDIV) in person first. Ricoh does have a good history of delivering updates that both solve problems and enhance functionality. I plan to pair either of these cameras with a M4/3 body and a short tele. What are the options for a short tele on the M4/3? Plenty of options – Olympus 45/1.8, 60/2.8 macro and 75/1.8 (links are to my reviews). They’re all outstandingly good. If you want something with a bit different rendering, then try a Zeiss ZM 2/50 Planar and adaptor, or if you don’t mind breaking the bank, a Leica 50/1.4 ASPH-M. Both are MF only, of course. NEW Voigtlander M43 42.5mm f/.95 SUPER SPEED Lens. I may be getting one of those to test at some point. Also: Voigtlander 50/1.5 Nokton M Aspherical (Due out in June). after playing with the DNG files a bit more I am really looking forward to the GR. I agree that RPP is a slow mobile for transporting files but batching is quite fast. Normally I would work files one by one though. It can’t be too long before the GR is profiled for ACR. Some of your GR shots did look “hot” as you wrote yourself. Did you not use live histogram or confirm shots when you compared? 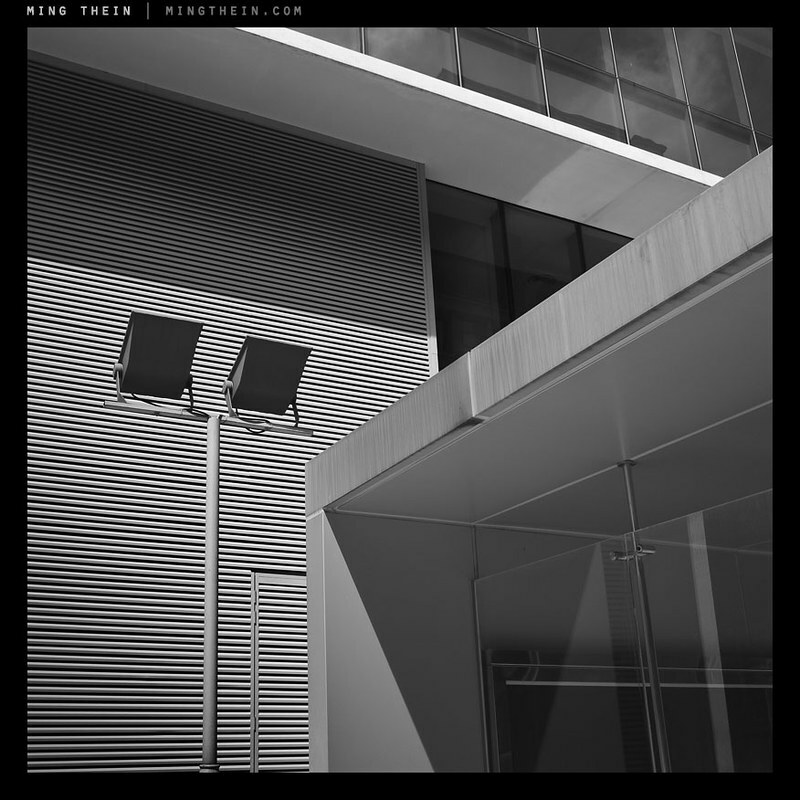 I am a little sceptic towards matrix metering of the Ricoh and generally use center weighted. (As I did with Nikon film cameras.) Nikons Matrix metering has been very good though I would not use it in some instances. I find that normally Ricoh does well with the metering but that is perhaps since I am familiar with it by now and compensate on the fly without having to think about it. Regarding AF I do think that the GR will have it’s limitations. Other reports have indicated the AF to be quite good indoors too so I do believe it to be possible to improve it in firm ware. This was done with the GXR and A12/50 module – which wasn’t fast – but did improve a whole lot after firmware update as well as bettering the macro range shooting options. As with all cameras, knowing the AF is crucial. I find that even with the “crude and old” GXR with the A12 modules I can positively lock on target with practically no hunting even in very low light. It takes some time with the camera to figure out what it can and can’t do but I am quite sure the GR AF will be very good in normal light and OK in poor light. Multi AF I don’t normally use. As a comparison my Fuji X10 is a much worse camera when it comes to AF accuracy and failing to acquire focus – sometimes even in good light. Like the camera, don’t trust the AF. My Sigma DP1M is much like the olden day cameras in low light: slooooow but mostly accurate if you know where to point it. I wanted to test the camera under run and gun conditions – representative of normal use – so matrix was used a lot of the time. In practice I found myself going manual or spot, which slowed things down considerably (and somewhat defeats the point of the camera). I may have missed it, but what camera did you end up going with Ming? Now that the Coolpix A has come way down in price ($484 right now at B&H), would that affect your decision/advice? It used to be $400 more than the GR, but now can be purchased for much less than the GR. As always, thanks a lot! Thanks Ming. I ended up getting in on the deal at B&H for the Coolpix A where I got the Nikon optical viewfinder for free as a package deal. It’s now $99 as part of the package deal. As soon as that deal is over I figure I’ll put the OVF for sale on eBay for $150 (regular price is $299) or so which will make the cost of the camera itself down in the low $300’s. Couldn’t pass that up. Ahh, if only we had deals like that in Asia – enjoy! I ended up sending the Coolpix A back. I wanted to like it, but I just didn’t. There were lots of things to like about it, but I felt the auto focus was very slow. The Ricoh GR is really much better (IMHO). Too bad, because it was such a good deal on the Coolpix A. But, if you don’t end up using the camera then it’s not such a good deal after all. Thanks Ming! My heart says GR, so that’s what I’m leaning towards. I have developed a, possibly irrational, dislike of Nikon lately. Mayhaps I’ve been influenced by Thom Hogans critic of Nikon, I don’t know. Anyway, I think the A looks clinical, sterile and perfect, while the GR looks like it has soul. Stupid, given they’re tools, but still. Eagerly awaiting the GR being available though, so I can try them both. 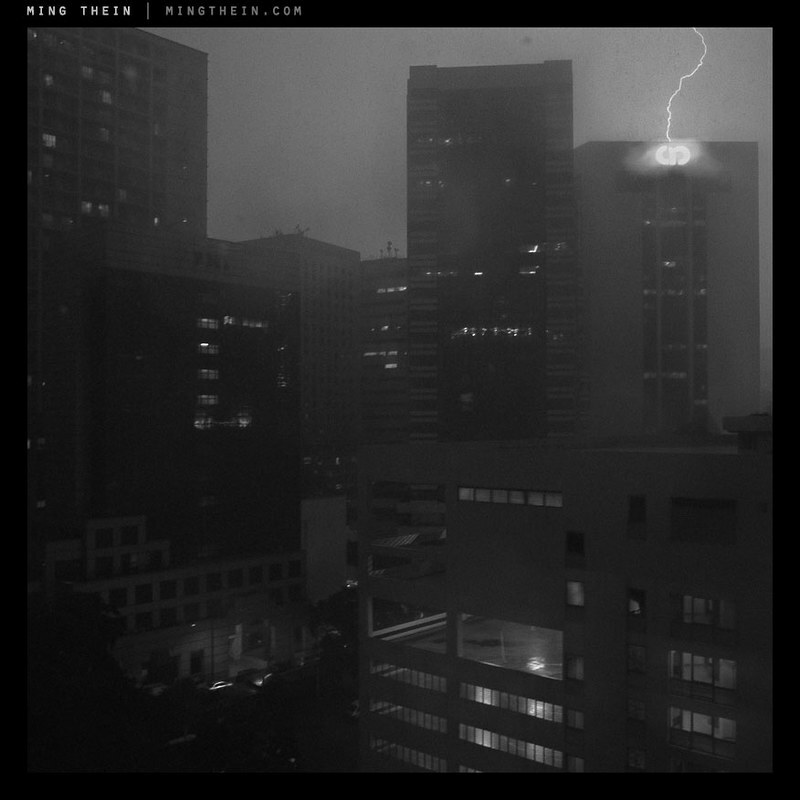 Hey, Ming thanks for the review and all the work going into answering all the comments, one thing i was curious about and haven’t seen reviewed anywhere is the focus peaking function on the GR. (and maybe how it compares to the nikon) I think there are four available modes, just wondering what difference between them are, I would love the b&w function from the gxr. And also do they work with snap zone focusing or just in manual focus and is that adjusted with the excomp buttons or the up down directional pad. Thanks again.